This year’s Malcolm Arnold Festival will be taking place this month in the composer’s hometown of Northampton. Running from 13-14 October 2018, the weekend will include music from the worlds of ballet, cinema, television and radio, opera, brass band and the concert hall, as well as films and talks on the composer and his music. 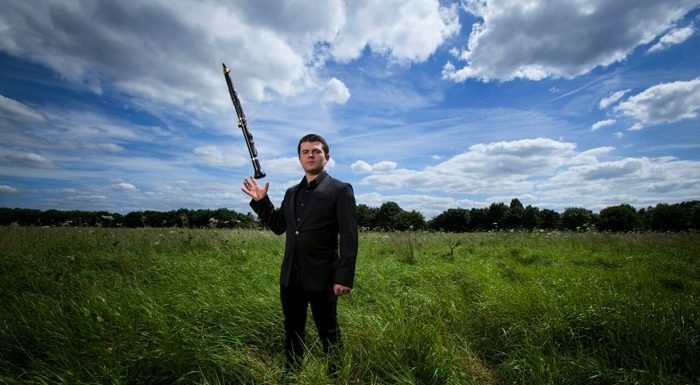 Clarinetist Julian Bliss (pictured) will be the soloist in Arnold’s witty and virtuosic Scherzetto with the BBC Concert Orchestra. Chief Guest Conductor Keith Lockhart will also lead the orchestra in a performance of Arnold’s colourful Fourth Symphony, with its Caribbean rhythms, marimba, bongos and tom toms ‘demonstrating why classical music can be the most exhilarating experience in what is one of the composer’s most tantalising and exuberant symphonic scores’. Tabea Debus takes centre stage at the festival’s family concert, performing a popular and accessible programme including Arnold’s Recorder Concerto and a new work by Timothy Bowers for recorder soloist, young recorder players and strings. Rushden Town Band and the Northampton County Youth Orchestra will perform the composer’s complete woodwind and brass Fantasies, the popular English Dances, and some of his works for stage and screen including the Roots of Heaven overture, Sweeney Todd ballet suite and the Inn of the Sixth Happiness. This year’s roster of guest speakers include David Mellor, who campaigned to obtain the composer his knighthood, festival regular and local broadcaster, John Griff with a talk on ‘Forgotten TV and Radio’, and Timothy Bowers who will be introducing Malcolm Arnold’s one-act opera ‘The Dancing Master’, prior to a rare concert performance by a group of some of today’s most renowned young singers and conducted by John Andrews. This year’s Malcolm Arnold Festival runs from 13-14 October 2018. See the full programme and book tickets here.